It is a pleasure to welcome Rachael Cain, Trax Records President, and Owner, to Jake’s Take. 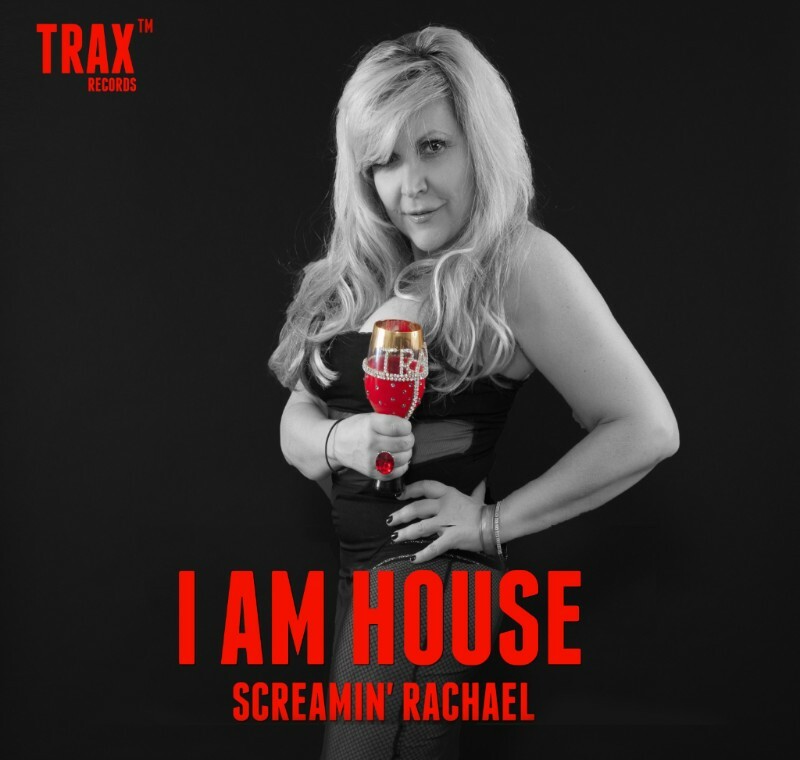 House Music fans around the world know her as Screamin’ Rachael. In addition, Billboard Magazine crowned her—the Queen of House Music. She was the first House Music artist to sign a major record deal and also launched the Hip House sound when she recorded “Fun with Bad Boys” with Afrika Bambaataa. Rachael also collaborated with a plethora of artists such as Marshall Jefferson, Grandmaster Melle Mel, and Colonel Abrams. Also, Rachael shared her insight regarding House Music in numerous projects regarding the musical genre including The History of House Music and Techno Style. On November 30, Rachael will release her latest single, “I Am House.” She collaborated with House Music pioneer Joe Smooth to tell the story of House lifestyle. A plethora of top DJs including AL-Faris, Sam Sky, Sonny Francini, and Zak Gee have remixed the track. In this edition of A Conversation, she talked about overcoming the obstacles that she faced during her time in the music industry, her new single, “I Am House,” and shared her thoughts about ABC News’ Nightline naming David Guetta—“The Grandfather of Electronic Dance Music,” which outraged many House and electronic dance music fans. Jacob Elyachar: In your humble opinion, how has the music industry changed since you started out? Has it changed for the better? For the worse? Why? Rachael Cain: The industry has changed, but there are always pros and cons to everything. I’d say that anyone who wants to be or is in the music industry must be able to adapt to changes in technology as well as changes in laws that affect royalties and intellectual property rights. I’ve always been one to go with the flow. For instance, years ago the idea of digital distribution scared most labels, but Trax was one of the very first labels to adapt to that. Today, there are new platforms including a site called Tracklib, so users can not only download songs, but they can get stems or parts of songs, say the percussion. You can also purchase a sample and make your own remixes etc. New technology like that fascinates me…So that’s a real pro for me. One thing a lot of people don’t realize is just how much of the actual sound is compromised with streaming and even the purchase of MP3s. CDs are just about dead technology, but they sound better than MP3s because the music is a WAV form and not as compressed. Vinyl sounds best though, and it’s also the very best way to preserve your music! I’m glad vinyl has made somewhat of a comeback! I’ve got to say that I miss the whole organic way that music used to be found. Jacob Elyachar: Last month, ABC News’s Nightline named David Guetta “the grandfather of electronic dance music.” That statement made many EDM fans and house music community members furious. What were your thoughts when you heard that statement? Rachael Cain: I would not say the EDM community should have been outraged because indeed Guetta has had a huge hand in its popularization. However, House is not EDM and to suggest that he is The Godfather/Grandfather of House is ludicrous! David Guetta freely has admitted that his favorite song and initial inspiration was ‘Love Can’t Turn Around’ on Trax. The backlash greatly inspired me because it’s great to know that many people support our history, and what is even better they know about it! I do thank David Guetta for supporting House and playing it. He’s done some good music himself, and I do respect him. However, it’s great to see people giving credit where it is due and not just blindly accepting something said on Nightline! I give our fans and supporters around the world a lot of credit for speaking up! I want to say we at TRAX thank you and REALLY APPRECIATE your continued support. Jacob Elyachar: What have been some of the most significant challenges that you faced throughout your time in the music industry? How did you overcome those obstacles? Rachael Cain: If you believe in something with all your heart, no challenge or obstacle cannot be overcome. I have to admit that when I started this journey people made fun of House music, in fact, some people said it wasn’t music at all! I love Hip Hop, and I remember when some of my idols put me down for being House! But, I also want to thank people like DJ Red Alert, Doug E. Fresh, Afrika Bambaataa, Melle Mel, and Busy Bee, and lots of others who supported me! Then, of course, being a woman who is not only an artist but in the business, it was difficult at times to get respect. Sylvia Robinson, the woman behind Sugarhill Records, mentored me. It was she that allowed me to believe that I could become the woman I am today. I’m glad that the “Me Too” movement has put a stop to the kind of harassment that went on. I want to encourage women to follow their path on their own terms! Men too! Never fall prey to people in charge who try to control you. I did it on my own terms and so can you. Know what’s truly inside you, then ask, believe and receive. That’s the simple truth. Jacob Elyachar: Let’s talk about your new single, “I Am House.” Could you share the recording process with my readers? Jacob Elyachar: Next year, TRAX Records will celebrate its 35th anniversary. In your humble opinion, what is TRAX Records’ legacy? Rachael Cain: Our legacy is our fans. It’s the millions of people around the world who have been touched by our sound. I can’t tell you how many times strangers have come up to me and thanked me because of the positive affect our music has had on their lives. Another thing about House fans is that they are fervent in their love for the sound! True House Heads are amazing people, and as I said in the song, it’s all about the LOVE! These people are open to people of all races, religions, and ages. I met with The David Lynch Foundation last week because I give back to my community by working with at-risk teens, for Youth Communication Chicago. They do the same with a program that teaches inner-city kids Transcendental Meditation. They have documented proof that it really helps these kids. It’s actually a study supported by The University of Chicago. This group of amazing people were totally into House Music and agreed that it’s more than music, it’s a spiritual thing. Real House people understand that. Our legacy is that Trax was at the center of creating a genre that’s had a positive effect on the world. Jacob Elyachar: If you had the opportunity to meet with aspiring producers or singer-songwriters, what advice would you share with them? Rachael Cain: The most important thing I could tell them is to be yourself! I don’t want to sound trite or wishy-washy, but if I listened to what people told me about our music, I wouldn’t be here today. You have to be extremely strong and know your own course and direction to last in this business. Many people with try to shake your beliefs to the bone. Don’t listen! Do you, and someday you might just change the world with your music! Remember music is powerful, use it for good with positive intentions. Look inside your soul and let the music take control. For more information about Rachael Cain, visit her website. You can also connect with her on social media. Visit her Facebook, Instagram, and YouTube channels. Want to know what Stax Records is doing on social media? Check out their Instagram and Twitter channels!